Shari Vilchez-Blatt loves kids! This is the first thing you notice when you walk into her yoga studio, Karma Kids Yoga in New York City, a studio which caters to young yogis. 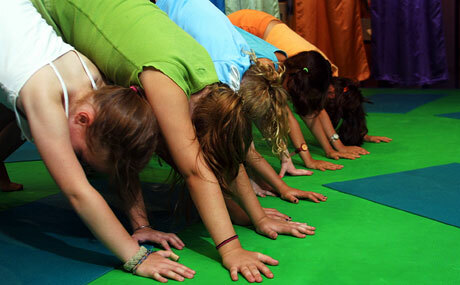 Shari joins Donna Freeman to talk all things kids yoga and share the impact she’s seen in the lives of families who participate. We’ll also delve into how partner poses influence children, youth and families creating connections, building trust and improving balance along with adding laughter and excitement to yoga class.